Vieux Pontarlier (pronounced 'View Pon-tarr-lee-ay') Absinthe Française Supérieure is carefully crafted in small batches using antique alambic stills that were specifically designed to make absinthe. This historic spirit is distilled using locally grown Grande Wormwood (Artemisia absinthium), which is considered the finest in the world, along with Green Anise Seed, Provençal Fennel Seed and a carefully chosen variety of additional aromatic herbs and spices. Faithful to the original formulations, there is no sweetening added of any kind - its refreshing taste is obtained entirely from the combination of plants and the distiller's skills. Tasting notes: Fine, medium peridot green color. Gradually forming louche, milky with opalescent reflections. Aroma initially of bright anise, developing heady, alpine herbs, with savory, mentholated wormwood notes. Initial taste is intense and spicily piquant, with round, herbal flavors cradling the wormwood and a long, refreshing, cooling finish of anise and fennel seed. "An absolutely classic French absinthe. As good as it gets." David Wondrich, Cocktail and spirits historian, as quoted in Esquire magazine "The Gold Standard for the Absinthe category.” F. Paul Pacult, founder/editor of The Spirit Journal, the world's most quoted publication on spirits, beer, and fortified wines. 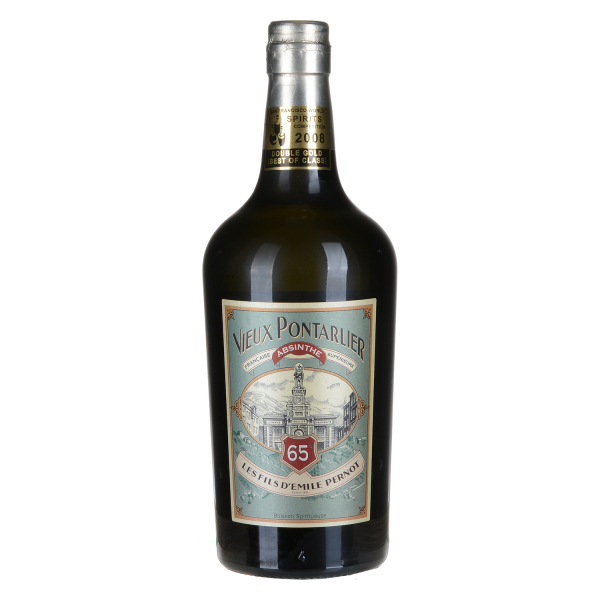 Related links to "Absinthe Vieux Pontarlier"
Customer evaluation for "Absinthe Vieux Pontarlier"
I guess that even I can tell that this is a quality absinthe. For me it was very refreshing and clean drink. Not that much of earthy and warmer floral or herbal flavors that I thought beforehand, but Vieux Pontarlier isn't plain or dull in any way either. I agree with others (on for example Internet forums) that it has more of a citrusy character. Personally I like it just a little bit less diluted than some other absinthes I've tried. Vieux Pontarlier I'd say is absolutely a very enjoyable and refreshing drink on hot summer days. 5 Stars - Highest Recommendation - the first absinthe ever rated at the highest mark. F. Paul Pacult, founder/editor of The Spirit Journal, the world's most quoted publication on spirits, beer, and fortified wines stated: "(Vieux Pontarlier is) The Gold-Standard for the absinthe category"